Get behind the wheel of the 2018 Volkswagen Golf and use the available keyless push-button start to rev the engine and head to your destination. The 1.8L turbocharged engine offers agility and power for a fun driving experience. Plus, if you opt for the VW Car-Net® Security & Service, you can receive important notifications on your smartphone when you’re away from your vehicle. If you leave the available panoramic sunroof open and there’s rain in the forecast, you’ll know it’s time to go close it. 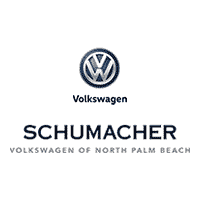 Visit Schumacher Volkswagen of North Palm Beach, FL, to view our VW Golf inventory.